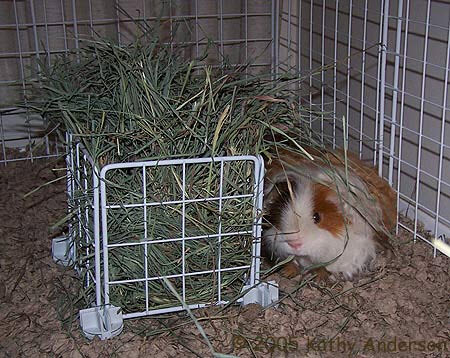 Use extra panels from your guinea pig’s cage to make a hay rack! Get five panels and assemble them into a cube with an open top using the panel connectors. Fill the cube with hay and put it in your pet’s enclosure.